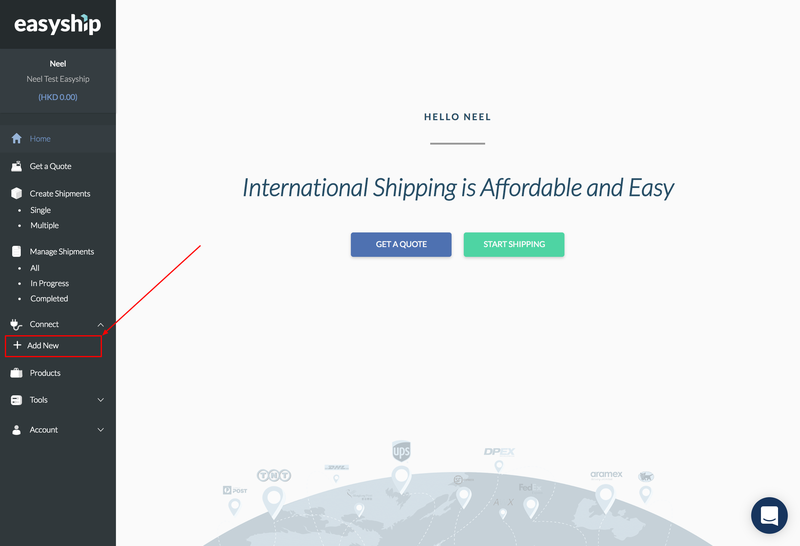 To connect to Easyship via our open API, you will need a token. Below we will explain how you generate this token. The bearer token is a cryptic string, usually generated by the server in response to a login request. 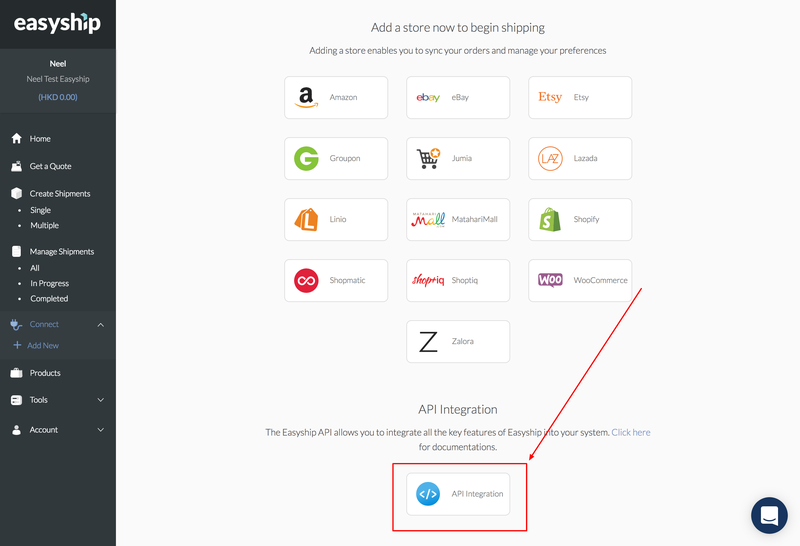 To maintain access, you must send this token in the Authorization header when making requests to Easyship API resources. 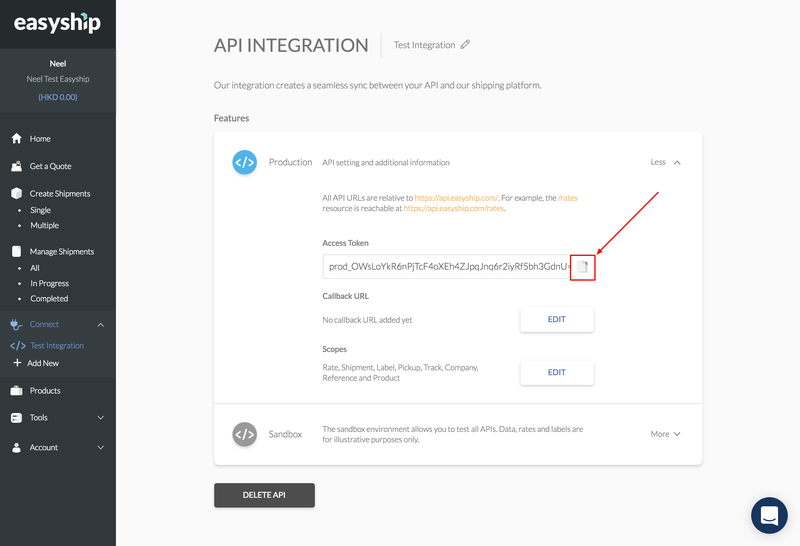 Once you've logged into your account select "Add New" under "Connect"
Next, select "API Integration". You will be prompted to provide a name for your store or integration. Type in the name and click on "Connect"
Now, select Sandbox or Production, and click on the copy icon to add the token to your clipboard. In this page, you're also able to define the scopes of the token relating to the Easyship account. Your API token grants access to your account, so make sure you keep it safe!